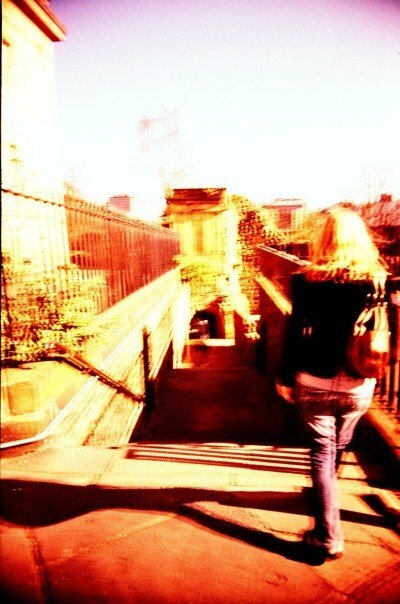 Shelly Knotts is a Birmingham based composer of instrumental and fixed and live electronic music. She is currently studying with Scott Wilson and Vic Hoyland at the University of Birmingham where she is focussing on composing for instrumental ensembles with live electronics. Her music has been performed by BEAST in Birmingham and Leicester and recently at Inventionen Festival 2010 in Berlin. Her instrumental compositions have been performed by University of Birmingham New Music Ensemble, University of Birmingham Symphony Orchestra and Carla Rees (Rarescale). She has twice taken part in composition workshops with Birmingham Contemporary Music Group and in 2008 her composition Chordophonia was published on a CD accompanying the Leonardo Music Journal. Shelly was a contributing composer for SOUNDkitchen’s STONEsoup and will be performing as part of a laptop duo and with BiLE at SOUNDkitchen’s Balkan Fusion Night of 17th March 2011. Shelly is part of SOUNDkitchen’s core collective.